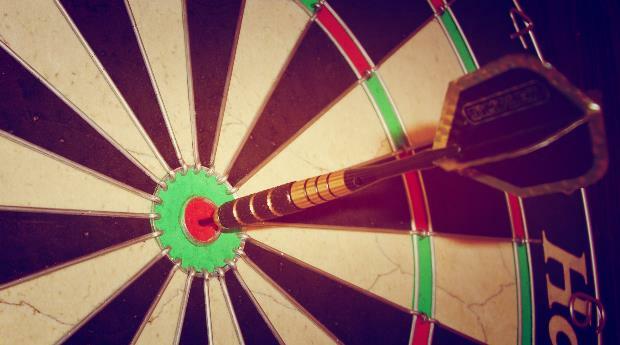 Over the weekend, Google announced a powerful new feature in AdWords that will allow advertisers to target their audience unlike ever before. Through Customer Match, a new feature rolling out in the coming weeks, advertisers will be able to target ads by email address. After you upload a list of email addresses, Customer Match will pair them with the corresponding Google users who you can target ads to. Advertisers can also target ads to similar audiences who share similarities with the individuals in the email list. Customer Match is capable of targeting ads to anyone signed-in to Google on Gmail, Search, and YouTube. Are You Paying For Fraudulent Views On YouTube? Google has made a big deal about its ability to prevent advertisers from paying for ads that aren’t seen by real human eyes, including on YouTube’s ad network, but a new study by a team of European researchers suggests something is amiss. According to their findings, advertisers are still being forced to pay for ads despite YouTube’s systems flagging the view as “suspicious” or fraudulently coming from a bot rather than a human. The experiment from researchers at NEC Labs Europe, UC3m, Imdea, and Polito, was conducted in three stages. First the researchers uploaded videos to YouTbe and set up an AdSense account to monetize them. Then, the team set up AdWords accounts to run ads against the video, before creating and deploying bots designed to specifically view the videos with the ads. That means that YouTube filters out views it deems as fraudulent for the public view counter, but they are still charging advertisers for those views. This isn’t the first time Google has been accused of charging for fraudulent clicks. When similar situations were brought up with YouTube, the company said the discrepancies are likely due to users watching the video ad, but not the video itself. That would lead to the view to be monetized but not included in the public counter. However, the researchers say that cannot be what happened here because the bot was designed to “view” both the ads and the accompanying video all the way through. 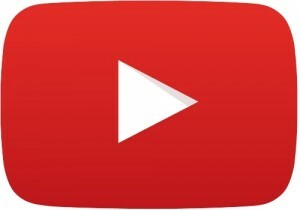 The team also took the fact that YouTube performs part of its view validation after the fact into consideration, however after six months the team saw no compensation adjustments. That happened even after YouTube suspended the AdSense account due to the bots’ suspicious activity. The team also found YouTube is vulnerable to relatively simple attacks. They say they have given their findings to Google and will continue to refine the tools used for the study and potentially make them widely available. Taylor Ball https://www.tulsamarketingonline.com/wp-content/uploads/2018/07/TMO-Logo.png Taylor Ball2015-09-25 13:57:342015-09-25 13:57:34Are You Paying For Fraudulent Views On YouTube? Google made big news earlier this year when it declared it would favor sites that switch to HTTPS, and now Twitter is taking a similar path. A member of Twitter’s development team published a thread on the Twitter Community forum explaining the company’s future plans for HTTPS and setting a deadline for the company’s switch the HTTPS. Starting October 1st, Twitter will begin utilizing HTTPS for all new outbound links, meaning any new link you share will be packed in “https://t.co”. This way Twitter can securely send users to their intended destination, even when the destination page is not an HTTPS link. Similar changes have been made by popular sites such as Reddit and Wikipedia, however in those situations the sites began using HTTPS site-wide. This will also have the added side effect of increasing URL lengths in the future, depriving you of one more character to write with when sharing a link. This also causes issues with tracking referral traffic to non-HTTPS sites, as Twitter explains non-HTTPS sites may see an apparent decrease in referral numbers. The company also warns that sites will see a steady decrease in referral traffic recorded from Twitter in the future, as users update to the latest browsers that support this policy. Google has issued a stern warning against those who repeatedly try to game the search engine. In a blog post published at the Google Webmaster Blog, Google’s Search Quality Team said any webmaster who repeatedly violated the Google Webmaster Guidelines and gets caught will face “further action” against their sites. In the post, Google explored how site owners are getting hit with manual penalties, going through the extensive efforts to get the penalty revoked, and immediately going back to their old spammy ways. These type of shenanigans won’t get anyone on the friendly side of Google, and repeat violators will see further reconsideration requests become harder and harder to earn. While they won’t say exactly what penalties to expect, they also say that sites it determines were deliberately attempting to spam will be hit with “further actions”. It can sound tempting to try to earn some short-term gains by bending and breaking the rules, but in the long run you are digging your own grave. Google doesn’t forget, and it certainly won’t stop checking on your site after you get a penalty removed. If you want to stay out of trouble, make sure you stay on the right side of the Webmaster Guidelines. On October 1st, Bing is shutting down Link Explorer, a link analysis tool that has been available from the company since June 2012, according to a new announcement. This is likely bad news for the many webmasters who used the tool to gain a deeper understanding of their own inbound links or to get a look at the links pointing to competitors’ sites. According to the announcement, Bing isn’t shutting down the tool due to lack of popularity or demand, but because they had simply outgrown it. The size and architecture of Bing’s index have reached the point where there is just no way for Link Explorer to prove effective. “We will no longer be able to power Link Explorer inside Webmaster Tools,” the company says — while suggesting its own Inbound Links tool as an alternative. Bing’s Duane Forrester explains the Inbound Links tool is more efficient for assessing your own links. Link Explorer’s powers were limited since its inception as it only gave a view of a limited sample of your backlinks, meanwhile the Inbound Links tool you can view and export up to a million inbound links in just a few clicks. Forrester also encourages those who used the tool to evaluate their competition to look for one of the many third-party alternatives available, saying the third party tools “provide even more comprehensive link analysis” than provided by Link Explorer. The day has finally come. Facebook announced the feature users have been asking for since nearly the very beginning of the site, and it could entirely change how users interact across the largest social media platform in the world. That’s right, during his live Town Hall Q&A’s yesterday, CEO Mark Zuckerberg officially announced a “dislike” button is coming soon. However, he did say the process of adding the button is more complicated than most people would think. Nonetheless, the button is already being worked on and tested by the company, and will be released at some point in the future. Zuckerberg said the company decided to add a dislike button as they realized their users were clamoring for ways to express other emotions than the classic ‘Like’. The statement was also quite different from Zuckerberg’s statements given during a similar Q&A session in December, where he said he had strong hesitations about adding a feature that was designed to spread negativity. Zuckerberg still hopes to prevent the button from being used to hurt others or spread negativity, as he said he hopes it can be used primarily to empathize with others. Only time will tell, as there’s currently no telling when the feature will actually arrive.The day has finally come. Facebook announced the feature users have been asking for since nearly the very beginning of the site, and it could entirely change how users interact across the largest social media platform in the world. Zuckerberg still hopes to prevent the button from being used to hurt others or spread negativity, as he said he hopes it can be used primarily to empathize with others. Only time will tell, as there’s currently no telling when the feature will actually arrive. Any business owner who has ever received online reviews – whether they were negative or positive – can tell you the power online reviews have in influencing how others perceive your brand. All it can take is one glowing or irate review on a popular service such as Google or Yelp to make or break your business. Most business owners will also tell you the most likely person to leave a review is an angry customer, but a new survey from Mike Blumenthal published on GetFiveStars suggests those business owners may be wrong. While it is true that extreme reactions are the most likely to result in reviews for your business, the evidence suggests consumers are actually more likely to reward excellent service than they are to attack businesses which provided a bad experience. 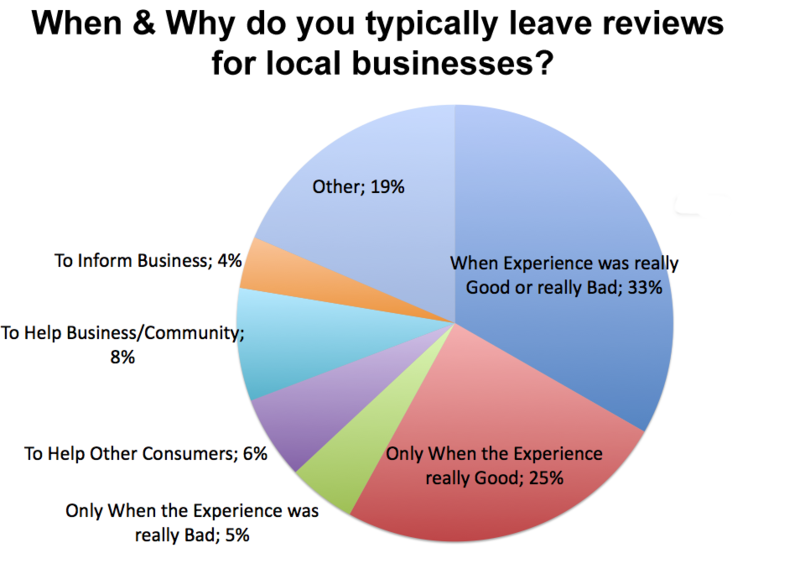 Blumenthal surveyed over 600 consumers that self-reported being active online reviews, asking when and why do you typically leave a review for a local business, and the findings show that few reviewers see calling out exceptionally bad service as their primary motivation. In actuality, most reviewers actually see their reviews as a means to help inform the community, the business, and other consumers. While the largest cohort of consumers was defined by extremes with a third of respondents only writing reviews based on really good or really bad experienced, the second largest group is entirely characterized by individuals who only use reviews to celebrate excellent service. Importantly, this group was not much smaller than those who were motivated by extreme experiences on both ends of the spectrum, suggesting business owners are more likely to get positive reviews for good experiences than they are to receive poor reviews when they drop the ball. To put this in context, 25% of active reviewers reported leaving reviews only when the experience was overwhelmingly positive, but 5% of reviews only leave reviews for truly poor experiences. That means the average reviewer isn’t the perpetually angry critic they are often portrayed as. The truth is the vast amount of reviewers aren’t out to get anybody. 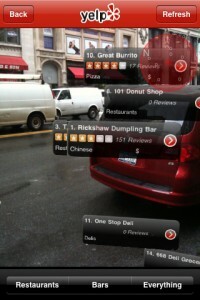 They view themselves as integral parts to the current business ecosystem and an important part of society. Ultimately, the reason online reviews may seem overwhelmingly negative is because it is simply much more difficult to provide exceptional service than it is to provide a terrible experience. That doesn’t mean it is impossible. As a business owner, you should naturally be striving to provide the best service possible. If you are doing that, all you have to do to start drawing in scores of positive reviews is make it easy for your consumers to give you feedback and be sure to listen to their needs. If your customers feel like you are listening and responding to what they have to say, you should expect to see great reviews flooding in within no time. Read the full report from GetFiveStars here. The Financial Times is reporting that YouTube will begin allowing third-party verification of ad viewability by the end of the year following major pushback from major advertisers. Until now advertisers have had to rely fully on YouTube’s viewership metrics to gauge how their ad efforts are working, but third-party authentication could potentially provide a less biased and full understanding of how your ads are being viewed and it may even help finally settle the dispute between which video platform is more popular. The report claims Unilever and Kellogg’s are the key instigators for a move to enable independent viewability measurement. Kellogg’s is especially notable as it has even stopped its ad buys on YouTube due to lack of third-party verification. Google does allow advertisers to buy ads on a viewable impression basis, but the verification is reliant on the company’s own Active View measurement tool. Using its own measurement tools, Google has boasted of incredibly high viewability rates. In one study this year, Google said 91 percent of ads served on YouTube were found to be viewable using Active View. Google declined to comment specifically, but told The Financial Times, “We’re committed to meeting all of our clients’ measurement needs” and “are taking our clients’ feedback into account as we continue to roll out new solutions”. As September begins many retailers are kicking off holiday promotional campaigns, which means the Christmas season is coming even earlier than normal this year. According to ChannelAdvisor’s 2015 Online Retail Survey, over half (59%) of retailers in the US and UK have already begun their holiday campaigns. It’s not uncommon for holiday promotions to begin early in the year, as consumers begin holiday researching and shopping months ahead of time, but the survey shows retailers are beginning their holiday promotions even earlier than last year. The survey also shows that retailers say their top strategy this year is to offer more holiday sales in an attempt to boost sales. As with every year, most retailers are depending on strong holiday performances, with over a quarter (74%) of retailers saying at least 20% of their annual sales come from the holiday season. 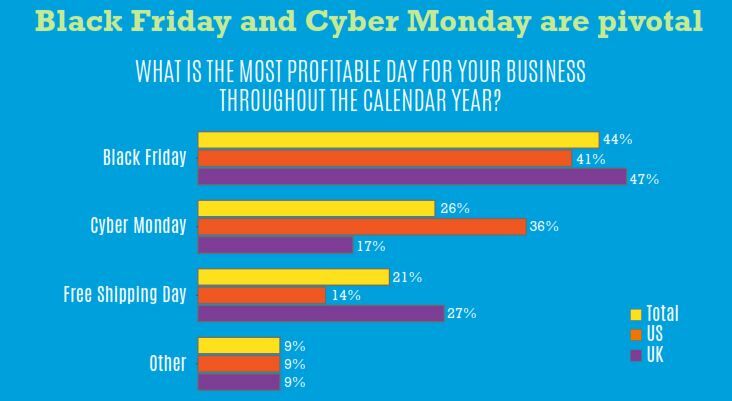 While Black Friday sales were lower than expected last year, Black Friday and Cyber Monday remain key sales days for the holiday season. Among US retailers, 41% reported Black Friday was the most profitable day of the year, while 47% of UK retailers said the same. Retailers have high hopes for this year’s holiday sales performance, with 82% saying they expect sales to increase. Of those, 21% said they expect holiday sales to rise more than 15% from last year. 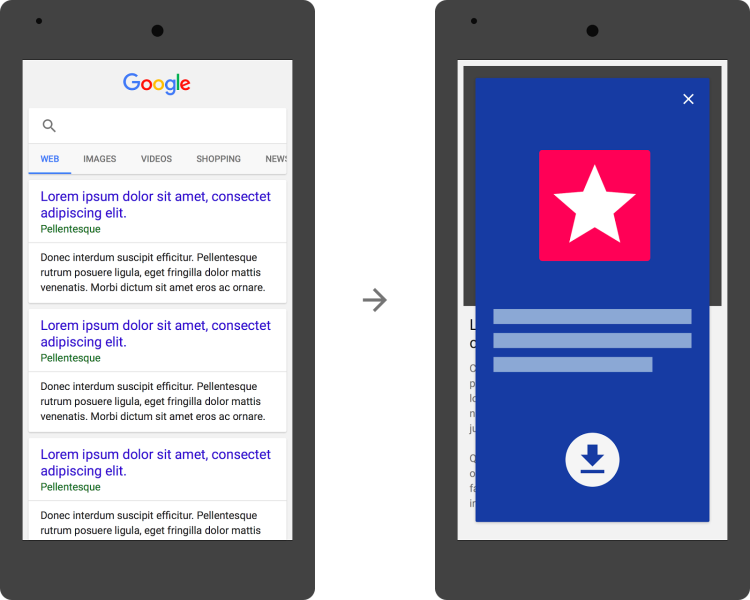 Large overlay advertisements will likely be going out of style fast, as Google has announced app interstitial ads that cover a “significant amount of content” on your page will be considered not mobile-friendly and will not rank as well as mobile-friendly pages. 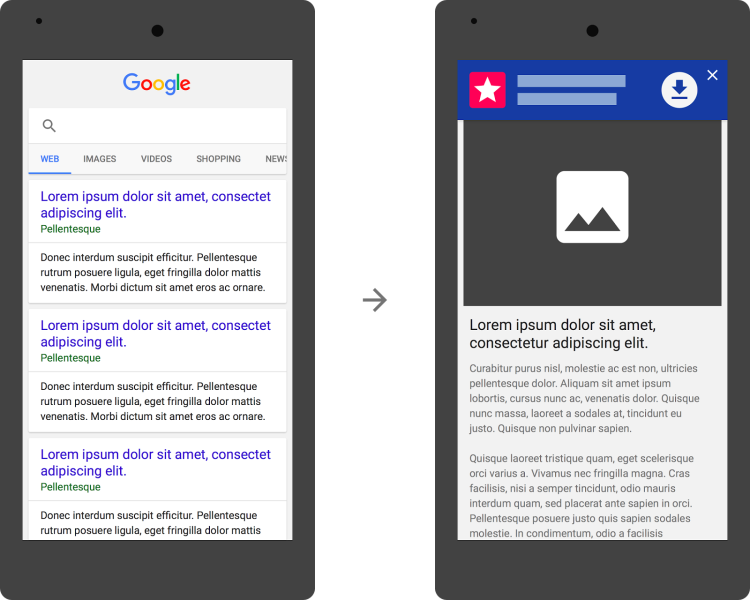 After November 1, mobile web pages that show an app install interstitial that hides a significant amount of content on the transition from the search result page will no longer be considered mobile-friendly. This does not affect other types of interstitials. As an alternative to app install interstitials, browsers [should] provide ways to promote an app that are more user-friendly. This means the native Apple-supported Smart Banners and Google Chrome-supported App Install Banners will continue to work just fine without causing any problems for your rankings, but the extra-large ones that cover up most or all of the page will no longer be mobile-friendly. If you want to make sure your site is safe, be sure to test your pages that use app interstitials to ensure they pass the mobile-friendly test or the mobile usability test. Either of these tools will show you immediately if your pages have issues with app interstitials or other issues that may make your pages rank poorly on mobile searches.